About Dental Phobia - Scared of the Dentist? Few people look forward to going to the dentist. Sometimes these patients suffer from a condition called dental anxiety, which can cause an extreme fear of going to the dentist. If you think you might have dental anxiety, you don’t need to feel embarrassed about your condition. At our practice, we see a lot of patients with dental anxiety. 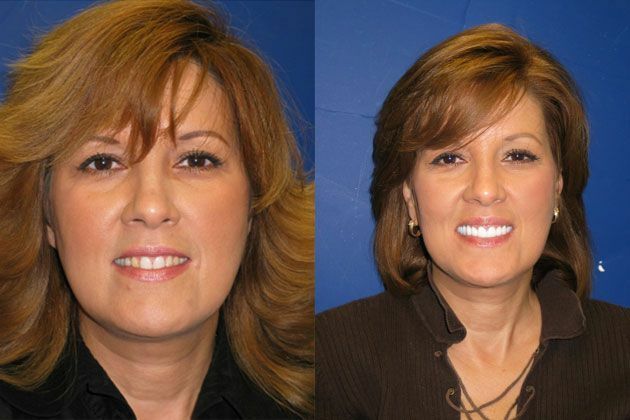 It is our goal to make your appointment as pain-free and comfortable as possible, and offer a variety of techniques to ease your dental anxiety. Dental anxiety is characterized by a fear of going to the dentist, especially if your fear of the dentist leads to skipping appointments. When patients are so frightened of the dentist that they avoid going to appointments, dental anxiety is considered a phobia. Dental phobias are defined as intense, irrational fears of going to the dentist. Patients with dental phobia might put off oral healthcare for years, which can lead them to higher risks of gum disease, badly decayed teeth, dental pain, broken teeth, and even tooth loss. Dental anxiety is a less severe form of fear. Patients with dental anxiety might feel uneasy around their appointment time, but they will usually still go to their appointments. The patients with dental fear might not sleep before their appointment, or they might get physically sick waiting for their appointment. Dental anxiety, like other forms of anxiety, can be treated. Without treatment, dental phobia can get worse over time. Causes of dental anxiety vary on a case by case basis. However, there are a few common themes in patients with dental fear. Fear of pain. In a recent survey, about 6% of participants said they avoided the dentist because of pain. This is typically because the patient experienced pain in dental visits during their youth, before advancements in dental technology for treating pain. Feelings of loss of control. A lot of patients develop fear of situations, in which they do not feel like they are in total control. Similar to a fear of flying, dental anxiety can stem from feeling out of control. During a dental cleaning or treatment, patients have to stay immobile and cannot see exactly what is happening in their mouth. This helplessness often creates anxiety. Low self-esteem of their appearance. People might avoid the dentist, because they are embarrassed to have a stranger inspecting their mouth. This is more common in patients that are already self-conscious of the appearance of their teeth. The close proximity of a dental hygienist’s face to your’s might also be a cause of anxiety. Previous negative dental experiences. 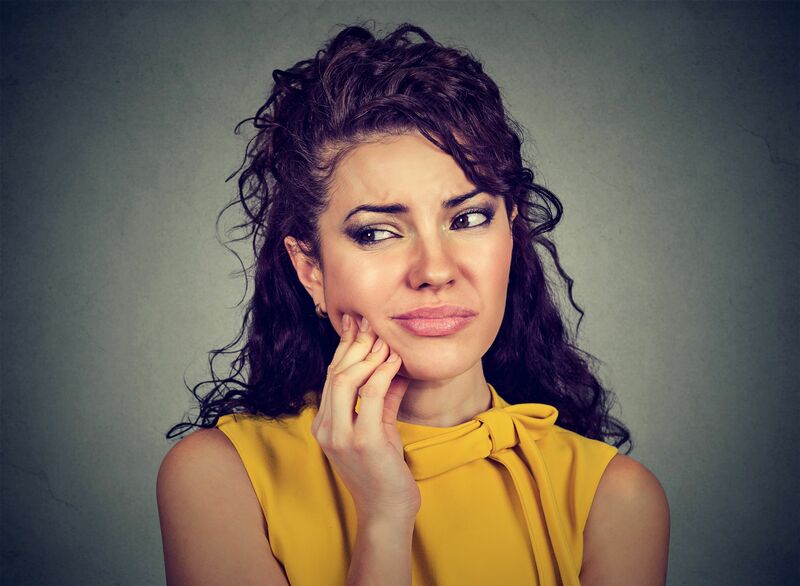 Patients that experienced extreme discomfort, failed dental treatments, or other negative experiences in the past are more likely to feel anxiety at the dentist. Feeling edgy or having difficulty sleeping the night before a dental visit. Feeling progressively nervous in the waiting room before your dental visit. When you think about going to the dentist, you feel intensely scared or feel like crying. Seeing dental instruments or smelling a dental office makes you feel more anxious. The thought of a dental visit makes your stomach hurt, gives you a headache, and makes you feel physically ill.
During your dental appointment, you have trouble breathing and feel panicky, especially during the treatment. Dental anxiety should not be ignored. It can cause terrifying side effects and severe dental issues. There are a lot of ways you can go about treating your dental fear. Bring a close friend or someone you trust to the dentist with you, specifically someone without dental fear. Bring distractions to the dental office. You can try listening to music with headphones during your treatment, or you can find a dentist with a TV or other distractions in the treatment room. Use meditative relaxation techniques, like controlled breathing. Remember to take slow and controlled breaths. When panicking, it is often an instinct to breath too quickly. Breathing too quickly can cause you to get light headed, which can be dangerous. Slow breathing can calm your heartbeat and make your muscles less tense. Make sure we know that you are experiencing dental anxiety. At our practice, we offer special amenities for combating dental anxiety and sedation options, like oral sedatives or nitrous oxide. A pivotal way of getting over your dental fear is by discussing it with our dentists. When we are aware of your fear, it is easier to work with you to help you feel more comfortable, trusting, and less scared. We want to make your dental experience as stress-free as possible, which is why we have designed our office to feel like a tropical spa with aromatherapy, stereo headphones, and more. Call Vero Dental Spa today at 772-778-5550 and get on track to better dental health.